Willowbrook Veterinary Hospital is committed to providing the pets and owners in our community with comprehensive treatment options. Laser therapy is one of the many tools we use to ensure your furry companion is living their best life. From post-operative pain management to treating chronic pain from osteoarthritis or an old injury, laser therapy has many uses in the medical setting. Using a safe class-4 “cold” laser, we can apply treatments directly to the affected areas on your pet. 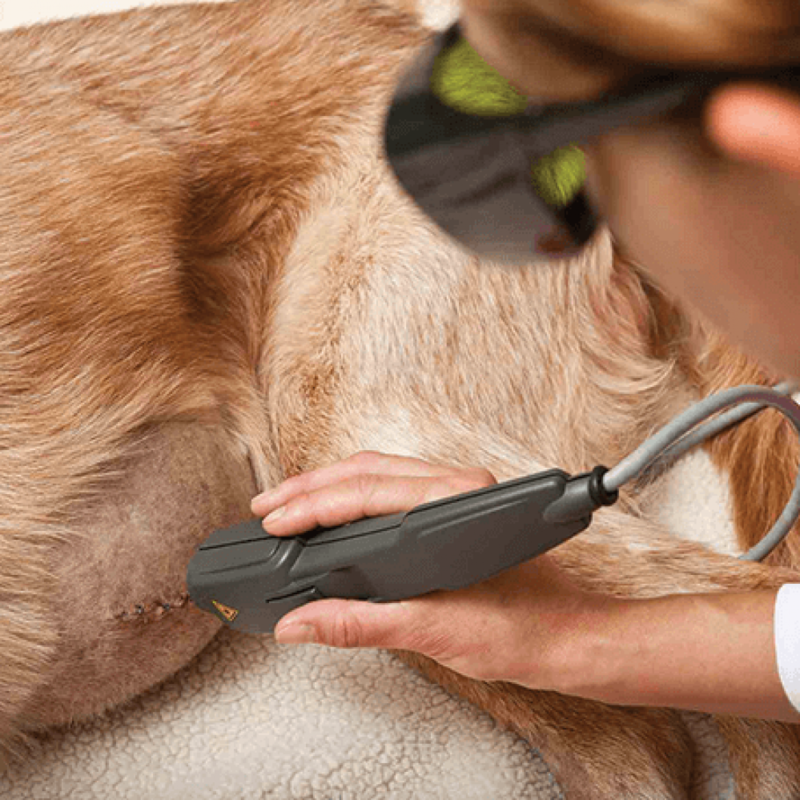 Research into laser therapy treatments in animals has shown that these targeted lasers are an effective way to stimulate the body’s own healing mechanisms to reduce pain and to speed healing. With the most modern and cutting edge laser technology, we can specifically target the exact joint or bone, soft tissue, or incision site to maximize the pain relief each animal experiences. Our patients generally greatly enjoy their laser treatment sessions, relaxing into the gentle warmth of the laser. They often leave our clinic looking like a younger and more comfortable version of themselves. If you’re interested in learning more about drug-free pain management for your pet, please feel free to reach out to us with any questions. Our veterinarians are happy to discuss the full range of options we might suggest for your pet’s specific situation, which include laser therapy treatments as well as traditional medications and non-pharmaceutical supplements. Our goal is to work with you to determine the best course of care for your pet.